The following is taken from my post on Patreon. Hi everyone, and welcome to June! I hope you’re ready for another update on Duel Cafe! TL;DR VERSION: Preorder deadline extended to July 10th! By this time the printing company should be able to get their new equipment going and print at least a new proof for me. (Hopefully sooner.) The following week will be a full run of all the books, and packing and shipping will start as soon as I get them. I sincerely apologize for the added delay, but I don’t want to sacrifice quality. I debated opening preorders or postponing again, but then the company said that they couldn’t add the finish I wanted because I wanted the binding to be perfect bound (glue), not saddle stitch (staples). But they said they would be purchasing new equipment that would enable them to do that in the next month or so (at that time it was early April), so I decided to go ahead and open preorders and pray that they would get everything purchased and running by the time preorders would end. At the same time, I had ordered prints of two new illustrations, one of which is a preorder-only bonus, and reprints of my popular print, Corporate Takeover. Unfortunately, all of these turned out to be unusable because not only did they come out really dark, but the digital printer also left ink blots, roller marks, and scratches all over them–which was alarming since all the other times I’ve ordered prints from them, everything has turned out fine. They explained that they had been having issues with that machine lately, and it was one of the reasons they were ordering new equipment. It’s a five-year-old printer, which in the printing world, is old. They were super nice and told me they would reprint them at no charge, but I said I wanted to try lightening the files for the two new prints because I had been trying to learn more about CMYK and stuff and found out important stuff about ink spread and K levels and things, so after re-calibrating their digital printer again, they reprinted Corporate Takeover and the menus for the artbook. The menus turned out beautifully that time, but the print had some spots where the ink hadn’t quite filled in or something (thankfully there were no scratches or anything). They also printed samples of the original files of the two new prints and the lightened versions, and it was amazing how much lighter the originals were just by the printer getting re-calibrated. Even so, they were still darker than I wanted, and the lightened files lacked vibrancy (my own fault). Nana and I spent quite a while there that day talking everything out. In the end, I decided to redo the two new files again, and I downgraded the paper from 100# cover (and upgraded Corporate Takeover) to 80# cover. 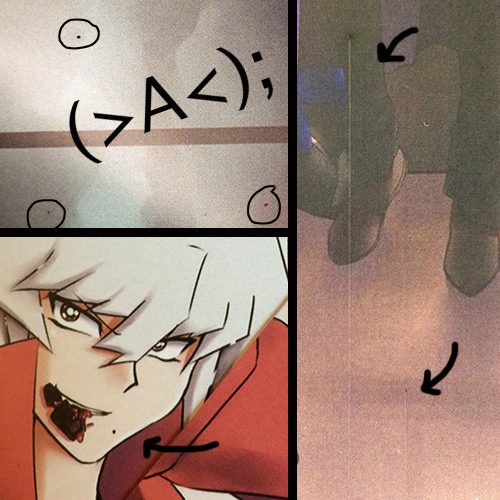 They reprinted those, and I lightened the new files with great care using multiple layers this time, instead of just lightening the whole image at once and calling it done. One, I don’t know how many people will be interested enough to order. I don’t want to order 200 copies and only sell five. Two, printing books is expensive. I’ve already paid upfront for all the preorder bonuses and shipping materials ;v; so this is the last step. That’s where preorders come in. Rest assured, the books will get printed; I want to share them with everyone ;v; But every order helps me know how many to print and makes it easier to pay for them all at once. I am extending the preorder deadline to JULY 10TH. I think this is the best thing to do, rather than close preorders in 10 days per the current deadline. This way more people will have a chance to order, and those who have already placed an order might have some peace of mind knowing that I’m not holding out on anyone. It’s literally just that I can’t control what happens at the printing company and I don’t want to sacrifice quality just to meet a deadline. I’m sure you would agree. By the time preorders close on the new date of July 10th, the full run of book printing should already be underway. I will keep you all updated as best I can. I sincerely apologize for the added delay and will be happy to answer any questions or concerns you may have. Thank you so very much for your patience and support. 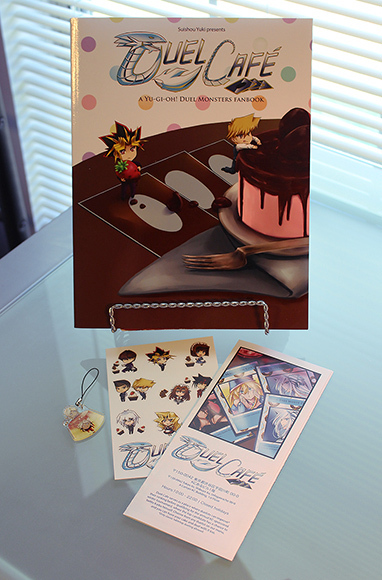 Posted in Announcements, BlogTagged artbook, duel cafe, experience, fanart, fanbook, issue, preorder, printing company, prints, problem, yu gi oh, yugioh, yuugiouLeave a Comment on Duel Cafe Preorder Deadline Extended!